The Mirage 101 is a SuperMini in MotorStorm: Apocalypse. It is the first vehicle usable in the Festival mode when playing as Mash. Its appearance and customisation options seems to be inspired by modern "hot hatches" and many popular modifications made to those cars. The 101 is the default SuperMini unlocked for use in Apocalypse. Completing two Level 3 Part Challenges with it unlocks the Wulff GRXii. As a MotorStorm rookie, Mash is awarded "The Zero" as his first car. The most over-driven, under-maintained, messed up Mirage 101 you ever saw. Racing car number zero is the rookiest of the rookie cars, given to the new guy as a test or a joke. But that little car just never gives up, and has helped promising rookie after promising rookie to begin to fulfil their potential. The Zero is wrecked near the end of the Festival; following Epilogue, Mash jumps it off of the ruined suspension bridge, crash-landing it onto the Carrier's deck. The Mirage 101 is the only non-DLC SuperMini that resembles modern small cars, whereas the two other default SuperMinis (the Wulff GRXii and the Monarch Tike) are based off of older, classic vehicles. This vehicle is turbocharged, as when seen in certain cutscenes/gameplay/customisation mode, an intercooler can be seen inside the front bumper. An RC version of the 101 can be seen on Yoshimi's shelf, alongside an RC Patriot P10-XR. The 101 seems to have three telemetric displays inside its dashboard. If one goes into Photo Mode and zooms into the right side of the interior dash, they will see those displays. This was the first vehicle in Apocalypse known to have such a dashboard feature, and was followed by two DLC vehicles, the Mirage 401 and the Monarch Vestige-R. The 101 is visually similar to a Citroën C2. 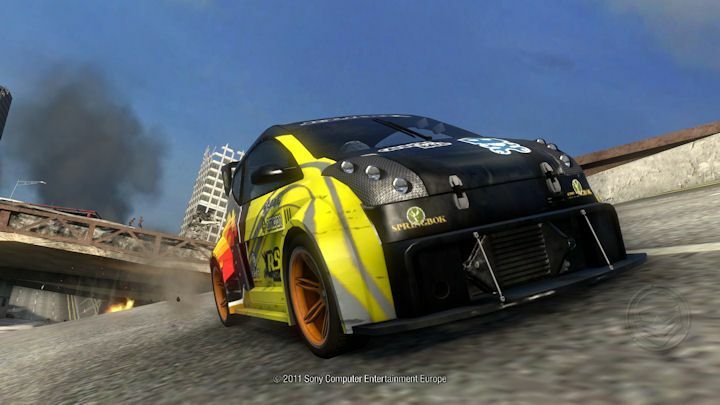 The 101 is featured in the RC Pro-Am Expansion Pack for MotorStorm RC. The 101 is featured in the artwork of the "Supermini" Festival Card (#110). One of the 101's Paint jobs has a stick man resembling the stick man from the PSVita game Welcome Park. The "stock" Mirage 101 in action. Rear view of the "stock" Mirage 101. A Citroen C2 Rally Car, off of which the 101 is based.